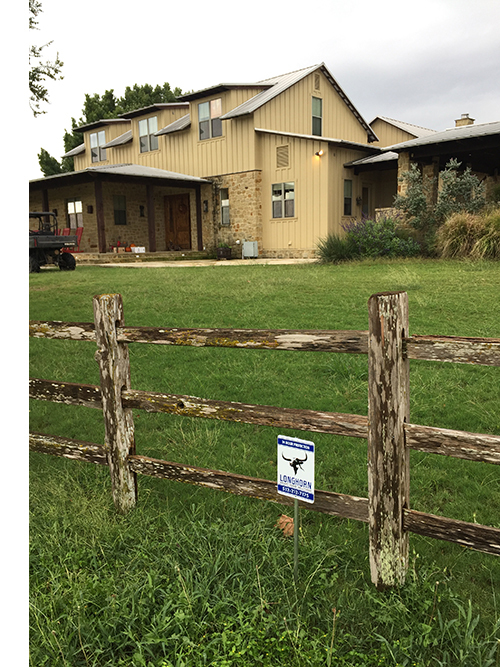 CARLSBAD, CALIFORNIA – When Austin-based real estate firm owner Emily Moreland built her 3,000-square foot dream home on hundreds of acres of land in the Texas countryside, she didn’t give much thought to a security system. 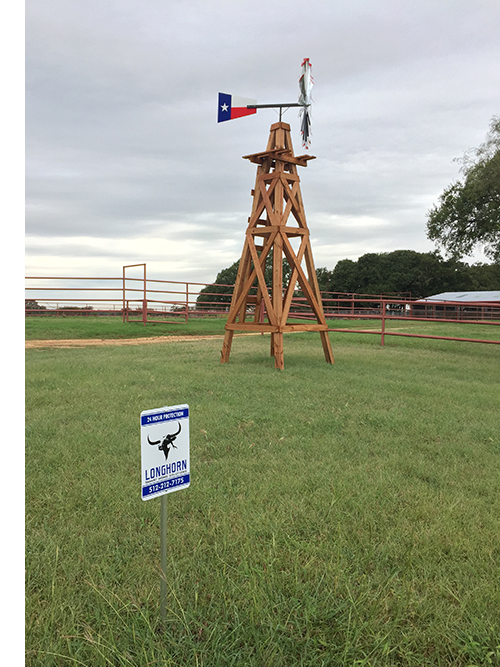 But after several thefts and break-ins, she decided to take security seriously and called Longhorn Smart Home Solutions to install a 2GIG® security system to monitor and protect the entire property. The Longhorn Smart Home Solutions team installed the 2GIG GC2 Control Panel, with intuitive color touchscreen and two-way voice, enabled it with the SecureNet platform, and paired it with dozens of 2GIG Door/Window Contact Sensors, Motion Detectors, Glass Break Detectors, and Smoke Detectors to monitor the entire residence. Each sensor, if triggered, will ping Emily’s smartphone and touch panel, along with local responders, to indicate the disturbance. Diehl’s team positioned two 2GIG Passive Infrared Motion Detectors to detect any potential approaching intruders, and six 2GIG Glass Break Motion Detectors to monitor for the sound of breaking glass. Each Motion Detector can monitor a 50’ x 30’ area and its pet-immune feature can be set to tolerate animals up 55 lbs. to reduce false alerts, while each Glass Break Detector provides a 15-foot maximum detection range. 2GIG’s GC2 System provides the Morelands with a user-friendly interface and instant access to the entire security infrastructure. Moreland also has the option to add on control of lighting, HVAC, and other Z-Wave appliances right from the touch panel if she chooses to do so in the future. Headquartered in Carlsbad, California, NSC has over 50 years of innovation and is dedicated to addressing the lifestyle and business needs of millions of customers every day. Learn more at nortekcontrol.com.